Introducing infants to water is essential to ensure that they grow up with a healthy attitude towards the water. Through the introduction of water through swimming lessons and exposure to pools by the parents and instructors it is important to ensure that the infant is protected through the use of swimming vests and other apparatuses that can be used to reduce the risks that are associated with the child being exposed to high levels of water. 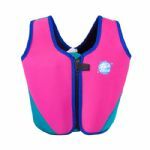 Some of these most popular devices that can be used to ensure that the child is protected are floatation devices and life vests that can be used to ensure that the child remains above the water. 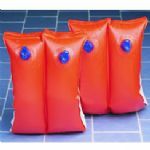 As well as floatation devices that can be used on the child in the form of life jackets, the child can make use of floatation devices that allow the child to float upright, in the water, through the use of a boat-like apparatus with netting to allow the child to swim with the use of their feet while in the water. These items can often be rented from local pools or bough through specialized sporting good stores or department stores. 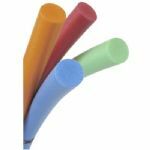 Through these popular babies swimming aids you can allow for protection of the head in the pool but you can also increase the security that is felt by the child while they are spending time in the water. Increasing the security that is felt by the infant can be an effective way to increase confidence in the infant and therefore allow the infant to further develop their skills. 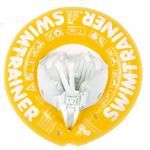 Through the introduction of water with these baby swimming aids, an increase confidence can help to build a healthy attitude towards the water through the childhood and as the child grows into adulthood.